I’ve been listening to Churchill’s speeches after reading Johnson’s biography. Blood, Toil, Tears And Sweat is my favorite. 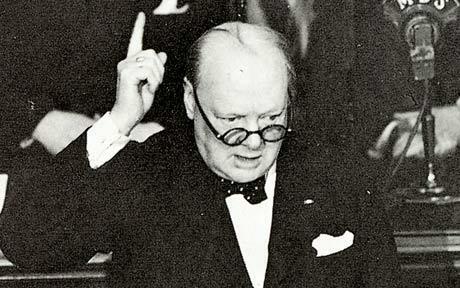 It was delivered on May 13, 1940, soon after Churchill became Prime Minister and when Hitler was threatening Britain. I love his style – the slight lisp, the calm and yet willful tone, and the impression it gives of the gravity of the moment.